Have you every had a “check engine” pop up on your dash? It either causes great concern or you just ignore it. Either way, it will cost you at the fuel pump if you keep on driving without getting your car serviced. Most technicians charge for the service to connect your car to their diagnostic tools. Now you can quickly find out how much it will cost, why the light is on and if there are any recalls or technical service bulletins (TBS’s) on your vehicle. 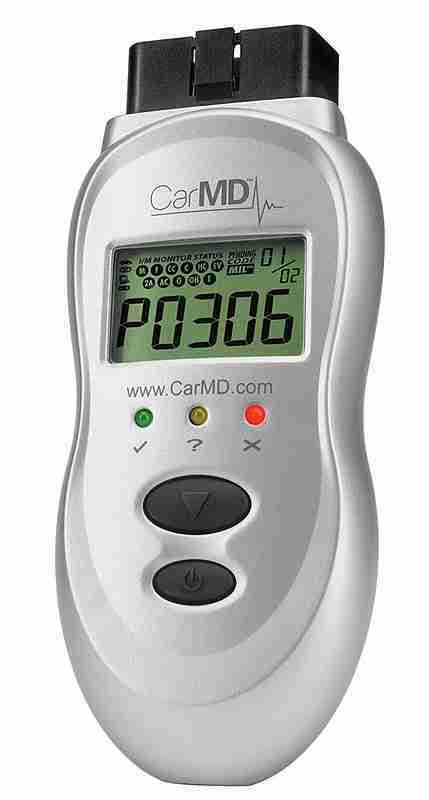 Car MD is an easy-to-use handheld device that detects hidden engine problems, tells you why your “Check Engine” light is really on and estimates repair costs to keep your mechanic honest. When you purchase a CarMD, you’ll have access to ASE techs at 888.MyCarMD for free diagnosis from the road so you don’t have to let a loose gas cap or something worse ruin your summer road trip! Priced at under $90 and available at www.CarMD.com, nothing beats CarMD® for getting your vehicle road-trip ready. Just plug the CarMD into your on-board diagnostic and collect the problem. Then simply attach the tool to your computer (MAC or PC) with the supplied cable and software and you can print out a complete report including costs and details. Now you can tell the mechanic what’s wrong and shop around for the best prices. The best thing about CarMD is that you don’t need any automotive experience, and your vehicle’s maintenance is in the palm of your hand.